Watching movies on iPad is a relaxing thing. With the gorgeous Retina display and long battery life, the iPad could make you enjoy your watching time. At the same time, iPad storage is limited, which astricts you from downloading and storing a large video collection on it. Meanwhile, it will cost you much to download movies from iTunes. 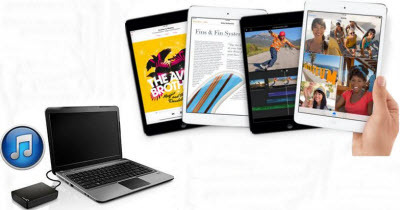 In this article, you can learn 2 ways to download and watch free iPad movies, including any available iPad Air, iPad mini with Retina display (iPad mini 2), iPad with Retina Display (iPad 4), iPad mini, the new iPad (iPad 3), iPad 2 and iPad 1. Try one of the 2 methods to get free iPad movies. Both of them are compatible with iOS 10/9.3.2/9.3/9/8/7.1/7/6. 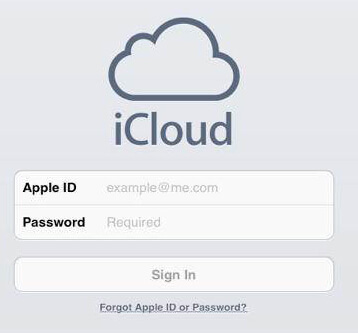 Important Notice: If you accidentally deleted important iPad data, such as the downloaded movies, photos, videos, notes, reminders, contacts, you can go to get iPad Data Recovery to recover all lost files. This splendid iPad data recovery software offers 3 modes: recover movies and other data directly from iPad without data backup, restore iPad files from iTunes backup without data loss, and retrieve data from iCloud backup. 1. Visit the iTunes store to download a free movie streaming app for your iPad, such as Netflix, Amazon Instant Video, Boxee, National Film Board (NFB), Crackle, Hulu Plus. Make sure you are not violating copyright laws by downloading pirated movies. Be careful about the movies to download that contain viruses or malware. You can join a iPad forum and get your movies from the forum members. This is much safer because forums will ban members immediately if any malware is found in the movies that they give for download. Alternatively, you can convert your DVD collection for iPad viewing. 1. Download the free software that will convert DVDs to MP4 format for viewing on a computer. You can try Handbrake. 2. Insert your DVD into computer. If the movie in DVD starts to automatically play, you need to stop it. Then open Handbrake and select your DVD under the Devices tab. Note: If you see a prompt that tells you that you need to download a program called "libdvdcss.pkg", go ahead and download it. 3. Download VLC, which is a third-party video player that handbrake will need in order to convert your DVDs. 4. Click "Start" to allow Handbrake to scan the movie and choose where you want to save the movie on your computer. 5. Open iTunes and drag the movie into iTunes from where you saved it. Then sync the movie to iPad -- go to Devices > your iPad > Movies, and click the Sync Movies checkbox. Make sure the box next to "Automatically sync all movies" is not checked. Then navigate to the movie and click "Apply". 6. Open the Video app on your iPad. You will find the movie in your library. Now you can start to watch the movie for free. Pick out one of the 2 method to watch free videos on your iPad.